There used to be a world of difference between luxury cruising and mainstream cruises but that no longer applies. Passenger demographics have changed seemingly overnight, with more families and groups sailing together. The ships have also evolved and grown larger, with mega-ships accommodating everyone from solo travellers to high rollers. 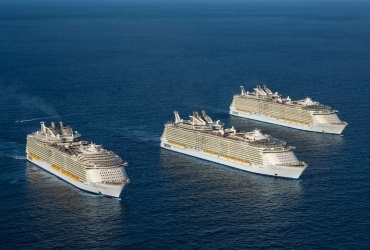 Luxury cruising is now available on all major lines including Royal Caribbean and Norwegian Cruise Line. 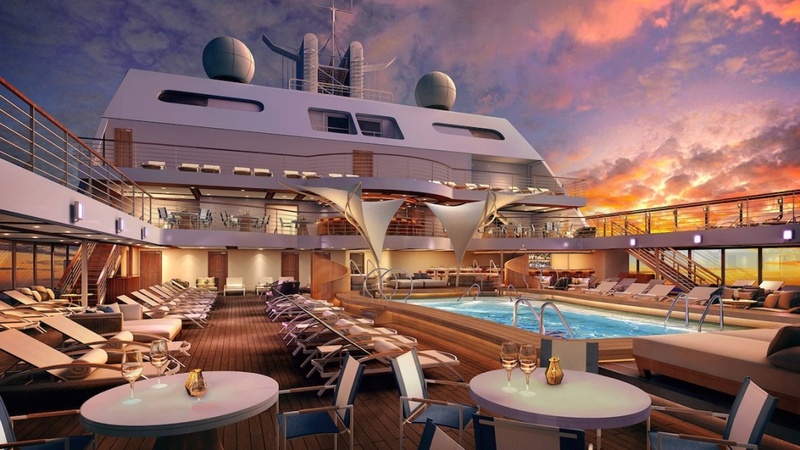 However, some cruise lines have always catered to the luxury cruise market, including Silversea Cruises, Regent Seven Seas and Seabourn Cruise Line. The focus on all-inclusive dining and pampering services remains at the forefront, and smaller vessels provide a more intimate and personalised cruise experience. All-inclusive cruise fares can actually represent good value for money, especially if you prone to overspend while on vacation. 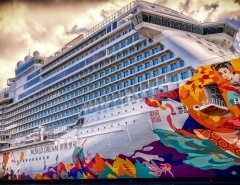 It’s worth calculating the all-inclusive savings prior to booking a cruise, especially when great deals abound in the competitive cruise market. The savings on all-inclusive luxury cruises extend onto dry land, with shore excursions and diversions covered in the ticket price. And then there are people who just want luxury, regardless of the price to enjoy an experience like no other. There are lots of reasons why an upgrade to luxury cruising could be a good idea. The first day of any vacation is usually a combination of excitement and stress. Getting to the terminal can be awkward by public transport and long-term parking is often unavailable. 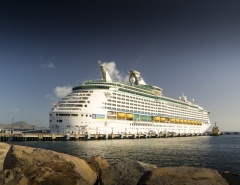 High-end lines take the stress away with complimentary transport options for getting to and from the cruise terminal. Cruises depart from major cities with beautiful harbours, and passengers have the opportunity to explore with on-land packages while in town. 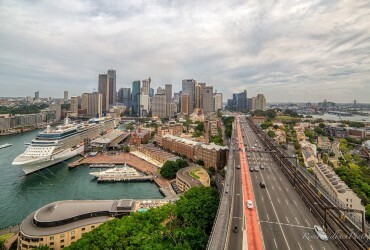 Luxury cruise lines offer incentives for accommodation in major cities or travel to natural wonders around the world. 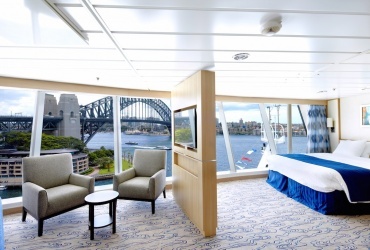 On luxury cruises there is no need to be envious of passengers staying in fabulous suites. Inside cabins are rare on dedicated luxury cruise vessels and the vast majority of staterooms have a balcony for enjoying indoor/outdoor sailing. 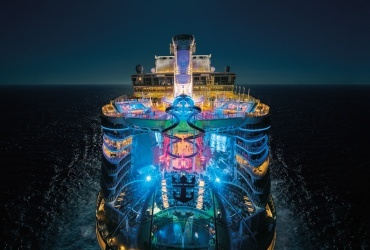 Alternatively, upgrading to a fabulous suite on a mega-ship could function just as well, especially if travelling with a family that wants excitement as well as luxury. High-end cruises try hard to make the little things count, such as a pair of binoculars for wildlife spotting along with quality furnishings, fittings and facilities in your stateroom. Tipping and gratuities add up on cruises, not surprising when several thousand crew members are trying hard to satisfy passenger demands. Luxury cruising, on the other hand, usually does away will gratuities and tipping. 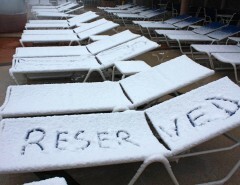 Naturally, fine service can always be rewarded with a tip, at the passengers discretion. Cruise ship staff are generally very attentive and dedicated to their work. The crew work 7-day weeks with very little down time between journeys and the standards are high. Regardless, it’s difficult to remember the names of all 5,000 passengers on a mega-ship, and the at times hectic pace can be overwhelming. Luxury cruises, on the other hand, employ well trained and cultured staff who serve with fastidious efficiency. Attentive to all passenger needs, luxury cruise staff serve at a very high standard and have the uncanny ability to remember even the smallest details to make passengers feel special. 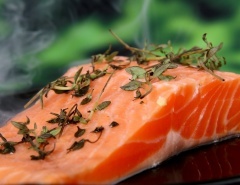 The standard of cruise ship meals has improved almost on a yearly basis. 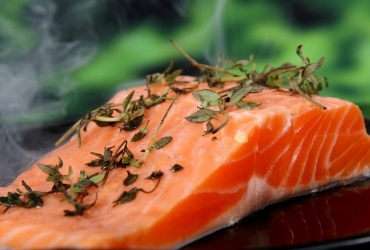 Larger vessels now offer a range of free and for-fee dining options. The luxury cruise operators were well ahead of the pack on this one, and have been providing top-shelf gourmet delights for decades. 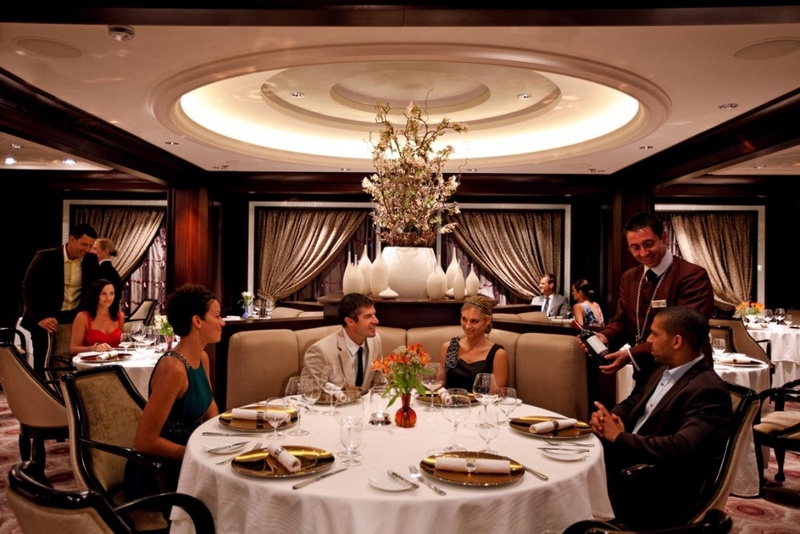 Cruise dining experiences are overseen by master chefs and major restaurateurs, while wait-staff are extremely attentive to every dietary requirement, making you feel just that little bit special. There’s no chance of a ‘where did all my money go’ moment on luxury cruises. Drinks are included in the ticket price. 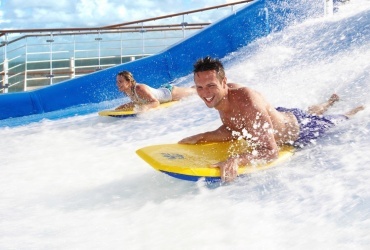 This saving alone should be enough for many travellers to consider all-inclusive cruising. Quality beverages are supplied in the restaurant, lounge and bar, while a well stocked mini-bar should suffice for in-cabin tippling. Passengers with expensive taste will have to pay extra, but that’s not a bad idea for those who can afford it. The colossal mega-ships are designed for having a good time but their sheer size means many beautiful ports are off limits. Luxury cruises can venture far into mysterious fiords, visit tropical hideaway islands, and savour the small town appeal of Mediterranean coastal settlements. Smaller vessels mean your itinerary destinations aren’t overrun with tourists and it’s possible to get a genuine sense of place on a luxury cruise. 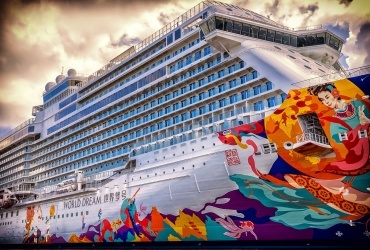 Cruisers are adventurous people who enjoy savouring cultural experiences. While shore excursions are part of every cruise, it’s easier to accommodate a smaller number of people in many iconic settings. Wonderful on-land theatre shows, cultural events, galleries and special dining experiences are the icing on the cake during luxury cruises. With so much to see and do, most luxury cruisers don’t need a noisy, raucous double-dose of entertainment back on the ship. With luxury cruising there is the right time and place for everything. 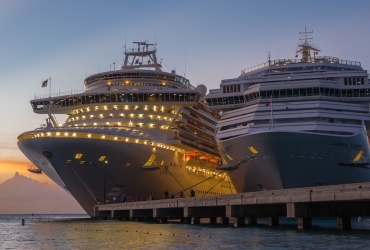 Large cruise ships are designed for mixing on a large scale, whereas smaller luxury vessels encourage genuine socialising and even networking. 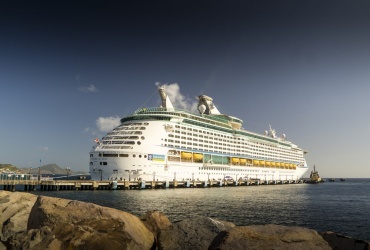 It’s not uncommon for new acquaintances to plan future cruises together as a couple or group, many making real friendships that last a lifetime. Luxury cruises are a high-end cruising tradition, but they have also continued to move with the times. Spa and fitness centres house state of the art equipment and hydrotherapy pools, while enrichment classes abound and babysitting services have been introduced. Pools on luxury cruise ships are classily designed and extremely comfortable seating is everywhere. Some cruise lines even offer a full butler service for every stateroom. 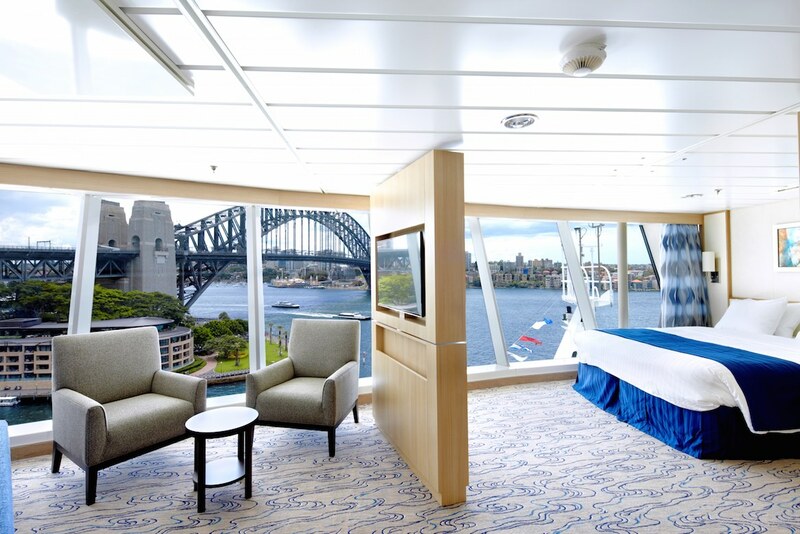 The luxury cruising line has blurred somewhat, with mega-ship luxury suite passengers enjoying the finest service and cruising style. 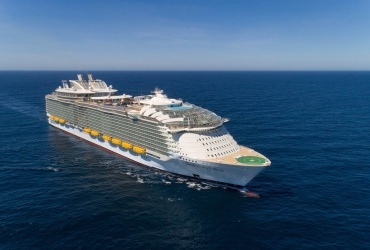 The choice ultimately comes down to specific passenger requirements, budget and convenience, with all-inclusive deals ticking most boxes for a high-end luxury cruise experience. The ratio of crew to guests is generally higher on a luxury cruise, resulting in personalised service, fewer delays and less bottlenecks onboard the vessel. Competition between luxury cruise operators is strong, with special deals, dining experiences and amazing destinations designed to lure patrons. Luxury cruises are a cut-above for a number of reasons. Spacious, opulent and private accommodation with a balcony. Luxury cruise vessels provide a 5-star service that can’t be replicated elsewhere. They are purpose-built specifically to satisfy high-end sailing demand. In a world where quality and class is more pervasive than ever, it’s no surprise luxury cruising continues to rule the seas for many passengers. 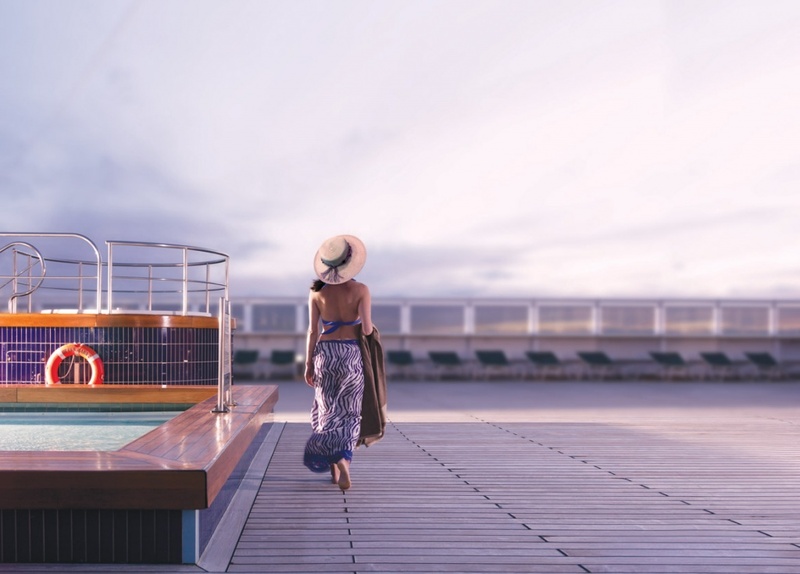 They may not be the biggest ships plying the oceans, and are often dwarfed by mega-ships while in port, but it’s not surprising that curious onlookers gravitate toward the sleek and powerful luxury cruise ships for a glimpse of real cruising decadence, high-end style.